Are you Implementing Change or Just a Change Program? 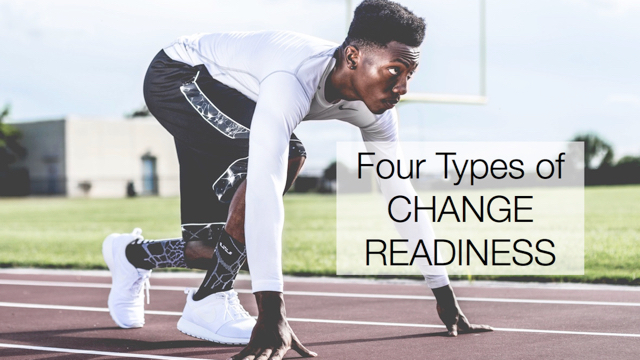 During an all-day client meeting last week, I noticed at one point they were focused more on implementing a change program than implementing the change itself. The group of more than 20 executives and senior managers were discussing an objective to Foster Innovation. The initiative they came up with was to conduct idea contests for all employees every 18 months. The first one had already been completed, with some success. The group was discussing how to make the contest better to get more actionable and focused ideas next time. Increasing innovation through employee engagement is a passionate topic for me. Since my early days as an engineer, I have felt that the people who do the jobs are in the best position to fix them, and that the best way to engage someone is to ask what could be better, listen, and help them do it. While idea contests are one way to do that, I had learned the hard way that short-term programs would only boost innovation temporarily. Since one of the foundations of the company’s transformation was to Foster Innovation, it was not something they could only do every 18 months and expect to be ingrained in the way the company works. The people in the room were in the best position to Foster Innovation, not the people running the idea program. To Foster Innovation is fairly straightforward. All they need to do is share the challenges of the business with their own direct reports, ask for help, listen, and then actively implement the ideas that come up. When people see they are being listened to, they will share more. It’s not rocket science, but they do have to be deliberate about it. Follow up and follow through. The same lessons may apply to your own change initiative. The program you develop may motivate people to do something different for a short period of time. To that end, it may be considered successful. But without putting in place the environment in which people will continue to do something new after the program is done, then it will fail to bring about real change. Usually, that means if you’re not changing managers’ everyday behaviors to support the change, then it’s all going to fall apart when the program goes away. It’s the difference between a successful change program and successful change. Excellent blog and really hits on an issue for task focused executives. The doing of the tasks becomes the change as opposed to the intent of the change itself. Another thing that I am keen on is that the way the activities, that are there to foster the change, are delivered are done in the style of the change that they are trying to create. I will give you an example: a few years ago I ran my seminar ‘Culture Change: Holy Grail or Poison Chalice?’ to an organisation whose execs were away considering a major turnaround in their business model. After my piece was over their CEO asked the team to consider their experiences of change in the last few years against the topics I had raised. After consideration they all spoke to what they had found. One group said that they had realised why their initiative to increase Innovation had failed despite two years of effort. They realised that they had done it by holding in to every approach that they held dear (the theme of my talk) and as a result had tried to run innovation through an innovation process with stepping stones for innovation, innovation checks and stops and a whole load of process and paperwork. They were a very project paperwork and systems business and they tried to apply that to innovation. So the values said one thing and the delivery kept on doing what they had been doing.